Remy Evard describes his Norway Cycling experience in detail after spectacular week riding around this amazing cycling paradise. … but I get ahead of myself. After an uneventful and scenic 6-hour train ride from Oslo to Trondheim, I found myself getting in one of those huge European vans with my La Fuga guides Rich and John, on the cusp of another multi-day bike adventure, this time in Norway. Not exactly a famous cycling destination… right? I wanted to get out for another bike adventure this year. I like these things. Early June is the only time of the year that doesn’t complicate family vacation, as the kids are still in school… (and also doesn’t risk snow in mountain passes). La Fuga, the group I’ve toured with before in France, had this trip planned in Norway. (No, I don’t know why it’s called a “raid” either.) I’ve always wanted to go to Norway, never been. It’s always looked spectacular, and I’d heard the cycling was fantastic. I looked at many other options for getting out on a bike for a week – mountain biking in Peru, a Dolomites trip, … this was the best of the bunch in early June. So.. here I am, in a little village called Oskanger, nestled into a fjord on the Norway coast. up by the La Fuga guides. They drove us to our hotel in Oskanger, which is a little estate on the edge of town. The goal this evening was to gather all the guests, assemble bikes, get dinner, and settle in before tomorrow’s first ride. It looks like this group will have seven riders, three guides, and another guest – the wife of one of the riders – who’s along for the ride but won’t be cycling. Unlike on previous rides, I don’t know any of these people. It has been a bit odd thinking about that while planning this trip. Who am I doing this vacation with? Will they be cool? Will they all be amazing cyclists who will crush me on the hills, or will they be really slow, making each day stretch on too long? I took a look at Strava, the cycling social network, before coming over to Norway for this cycling trip, and found most of the riders. They all have many, many more miles in their legs this year than I do, and they all have some very impressive rides… joy. I may be in trouble. I hate being The Guy Off The Back. Meeting everyone tonight, they certainly seem friendly. Almost everyone is British. There are a couple of sorta younger guys who race (Dan and Mark), an older couple based out of Australia (Frank and Jess), a fellow who just finished a 3-day, 150km/day ride last weekend (Andrew), and a Romanian with a custom Bianci (Seb). The guides are Rich, who has been with La Fuga for three years, John, who has been in the cycling scene forever and will be driving one of the vans every day, and Joel, a former pro triathlete. A promising group. For this ride, I chose to bring along my “square bike”, as Rose calls it – the Guru, which disassembles almost completely to fit into a suitcase-sized box for easy travel. Considering the many flights (five) and the train ride, this seemed the best choice. 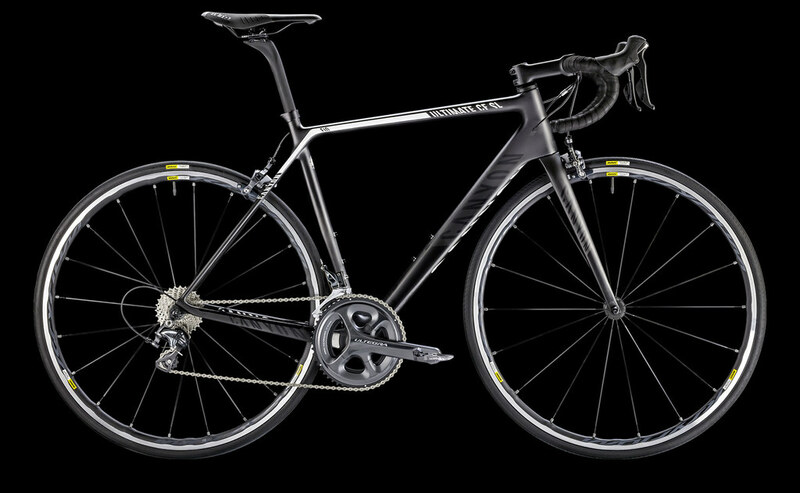 Plus I love riding it… the disc brakes are so smooth, and it handles like a dream. 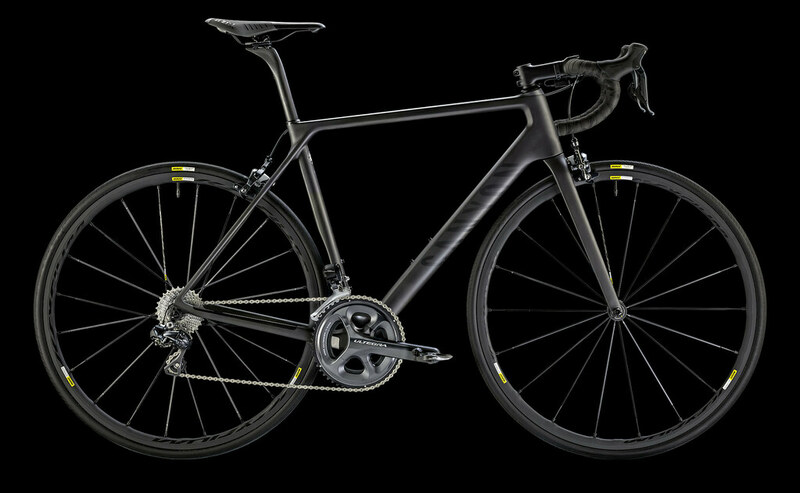 The downside is that it’s about 3 lbs heavier than a carbon bike, which is a big deal on a long hill, but otherwise not a problem. The other downside is that it takes a lot of work to put together. Tonight, while I assembling it, some pieces came loose from the front fork that I hadn’t seen before. This isn’t good… you want the front fork working correctly so you can do minor things like, you know, steer. And stay upright. Rich broke out some diagrams from the web and we figured out, we thought, how it all went back together… but there was a 2mm gap at the top of the headset when we’d assembled it, which wasn’t right. Eventually I called Andy at ATA back in Concord, then emailed him some pictures. He told us what to do, and we did… the 2mm gap remains. Everything feels fine and tight… definitely something isn’t quite right. There are no safety or breakage issues with it, so I’ll ride it and see if it shakes out. And that’s about it. Time to get stuff ready for the morning and try to get some sleep in this ridiculous “sunny all day” summer in Norway. 3. Subtract chalets and germanic-style architecture. 4. And take away churches and castles. look like huge lakes but are actually the ocean (fjords), and more pine trees. 7. Add lots of red-painted plain-architecture farm buildings. Oh, and keep the sun on for about 20 hours a day, and turn it down just a little from about 11 to about 2am. Don’t bother putting heavy curtains in the hotel rooms… the locals are used to these crazy long days, and it’s fun to watch foreigners realize that it’s 10pm when they think it’s 3 in the afternoon. Today’s ride was longish, and fairly flat, with rolling hills that seemed to be continually on the banks of a lake, river, or fjord. The basic idea was to head through the coastal region, getting a feel for this corner of Norway, eventually arriving in Kristiansund, a town spread across a set of islands. Early into the ride, we had a first mechanical. Fortunately it wasn’t my head tube, which was working fine. Seb’s electronic Campognolo had issues that took a while to work out… but finally Rich worked some magic and we were able to keep rolling. It’s remarkable how complex and precise all these machines are that we’re riding, and how well they work considering that all had to be disassembled partially to get here. Toward the beginning of the ride, we had a gradual climb that took us just above the tree line. The group did the inevitable split apart, as always happens in these sorts of outings. Frank and Jess went off the back, followed a bit later by Seb, then Andrew. I kept pace with Joel (our guide on the bike for the day), riding right behind Mark and Dan who were pushing the pace into the wind. It felt really good to push the legs really hard after all that travel. After a while of climbing and breathing hard, I began to wonder if I was in trouble as Dan and Mark seemed to be having no problems with the pace… then I noticed both were sweating pretty hard, which was good. They’re strong (and very smooth, steady riders), but not immortal. We waited at the top of the climb on a high plateau. We could see snow-capped mountains in the distance. Would we be riding those in a few days? After a few hours of riding along a gorgeous still body of water (is that a lake? or a fjord? Fresh or salt? Can’t tell from here! ), we crossed a bridge and saw John in a rest stop ahead. We pulled in for a marvelous picnic on an island in an incredibly picturesque world… mountains, water, green everywhere, sunny blue skies above… amazing. After riding for a while longer, we arrived at our first ferry of several for the week. The numbered highway we were on went right down to the water shore, ending in numbered lanes full of vehicles. The boat pulled up right on time, opened up the front, and let out a seemingly infinite number of vehicles. Soon all of the cars and trucks with us started loading the ferry. The rest of our cycling group showed up just in time, and we rode on as they started to close the gate. For about twenty minutes, we bridged the fjord gap, sailing across smooth waters. We climbed to the top of the boat and took pictures, soaking in the scenery. We rode off and put in a few more miles until we reached a long tunnel. That wasn’t safe for us, so we boarded into the two vans and drove for a little while to our hotel on a small island that’s part of Kristiansund. I wasn’t quite done with the day, so in a Longwellian extension maneuver, I took my bike to explore the islands that make up the town. I found a little forest on the tip of the island, explored tight residential districts, got lost on stealthy bike paths infiltrating the hillside, and found the ports and shopping zones on the larger island. I took a few pictures from the tops of a bridge, hoping to capture some sense of the huge expanse of sea and the surrounding land. It was a glorious first day of riding… hills, islands, lakes, fjords, ferries, tunnels, little towns to explore, stunning weather. We left our hotel in the vans, as we had to take another tunnel to get safely off our island. The tunnel went down, down, down at 10% below the sea, then up, up, up. Amazing. And apparently an incredibly expensive toll. Right after the tunnel, we boarded the bikes and started riding on the highway that would become the (famed?) Atlantic Ocean Road, a stunning feat of engineering linking little bits of land along the Norway coast. Dan got this picture from a friend from somewhere on the net – it shows the highway far better than any of our pictures do. Today’s landscape was distinctly rockier and more coastal than day one… it could almost have been in Cape Cod or some of the Californian coast (except for the highway itself, which felt distantly different). It was an easy ride.. almost a recovery ride, mostly thanks to Dan and Mark who continued to pull the double paceline along the highway, making it appear effortless. It’s worth remarking on this double paceline thing, which was common throughout the entire week. In the States, we rarely ride in a double-wide line, and usually only when we know there’s no traffic. Here, the default was to ride two-wide. Everyone seemed very comfortable with it, making me wonder if this is a Euro or British standard thing. It feels much more aggressive on the road, as it forces cars to go around… but that said, the line is much shorter and easier to pass. Toward the end of the day, we arrived at a good climb. Mark and Dan left me in the dust, as I wanted to save all my climbing energy for day three. And, also, because they would have anyway. We all regrouped at the top of the climb, then then the three of us flew downhill, through pretty tough crosswinds, rotating 10-second pulls to maximize speed, all the way into our destination town, Molde. That downhill was tough work. Molde was bigger than I expected. It’s clearly a cruise ship destination port,complete with a seemingly unused conference room and an overly-modernesque-looking hotel. After cleaning up, I met Dan and Mark to wander the town. We found a place thatserved lattes. Yes! It’s crazy spectacular gorgeous around here like nothing I’ve ever seen. You come around a corner and “wow”. You rise over a hill, “wow”. The boat rounds a bend. “Wow”. The pattern for the day, as Rich explained to us at dinner last night was: hotel -> van -> tunnel -> start riding -> road-road-road -> ferry -> massive climb! -> lunch -> climb a bit more -> descent -> ferry -> big climb -> amazing view -> fast descent -> final little climb to kick you when you’re down -> hotel. And, yeah, that’s pretty much how the day went. And now let’s get to the climb. The climb was the Trollstigen, or “Troll’s Ladder”. The road goes out a long valley, climbing steadily, rounds a bend, and ramps up towards a dead-end canyon. It climbs out of the trees past amazing waterfalls, then switchbacks up one side of the mountains, crosses a set of waterfalls, and climbs up the other side of the valley… eventually surfacing into a high alpine valley still covered with snowfields. It’s probably the most amazing climb I’ve done… the road was fantastic, the waterfalls stunning, the views epic and magnified by the close proximity of everything in the narrow valley… just tremendous. The van stopped at the base of the climb for people to adjust their gear. I tossed in all my warm gear, choosing to ditch arm warmers, knee warmers, the gilet… pretending it was a warm summer day – generating heat while going up was not going to be a problem… – and left before everyone else was ready. I knew I would be caught, but I wanted to do most of the ride on my own to enjoy it… plus I figured that if I was out in front, it would give Mark and Dan something to gun for, and keep me pushing to stretch that lead out as long as I could. The climb was spectacular. I had to stop a few times to get pictures… couldn’t stop myself. It was SO GOOD to be on a serious climb again. I’m not a climber, but this is what hard road cycling is about… pushing yourself to the breaking point, getting through the pain, finding out what’s up on top, making infinitesimally slow but steady progress towards the peak that you know must be up there somewhere… those flat rides along the coast were pretty, but this is what it’s about. This, and going downhill fast. Mark and Dan eventually caught me just near the top. I managed to latch onto Dan’s momentum just at the end and we all arrived at the visitor center in the high valley. Great view! We hung out, cooled down, and took pictures while we waited for the rest of the group to arrive on top. The descent down the other side was meh. Very pretty, but long and not that steep… took a lot of work to get down. From there we took another ferry, to the next climb. The next climb was not as amazing… more of the long, usual, steady climb making progress up and over a high pass. Dan and Mark vanished ahead while I rode with Rich. Eventually he faded off the back to ride with some of the other folk. I summited and then dropped down the descent to the first hairpin, as instructed, where we gathered the group and enjoyed an amazing view of the Gerainger fjord. After a fantastic, steep, hairpin-loaded descent (best of the trip so far), we arrived in Gerainger, a sleepy little village that is a destination town for cruise ships on serious fjord duty. We climbed up through the town a bit to get to our hotel. Phew, done for the day. How the pros do it for 20 days in a row, I have no idea. We rode out the back of Gerainger, heading up. (In Gerainger, you pretty much only have two ways to go. North (and up and over), or south (and up and over). Or you can take a ferry somewhere. If you’re a cyclist there – which seems unlikely – you pretty much have a choice of straight-up-this-way or straight-up-that-way.) We were supposed to do a big loop, ending up in a town on the other end of one of the ferry lines by 5pm, then taking the ferry to get back to Gerainger. The first part of the day was a climb up the Dalsinbba mountain that frames Gerainger, climbing about 1200m to a frozen lake (the Djupvatnet). This climb was as tough as the Trollstigen, and almost as pretty. Opening up on the lake above was another ‘wow’. From there, after putting on warm clothes, we worked our way for another 20km to a gravel road that branched off the main road, taking us through a wilderness area still buried in snow. The gravel road went on forever, and I had visions of (again) running out of road and having to continue forward on the snow. The descent was complicated, technical, and spectacular. Mark, Dan, and Joel, unsurprisingly, are also very fast at descending. They’re also borderline insane. Much lower and later, we arrived at Yet Another Fjord for another great John-created picnic lunch at the side of the water. We rode for another hour, then got in the van so that we could make it to the return ferry in time. The ferry ride was almost the highlight of the day… (so many highlights to choose from). We rode for an hour through the fjords, hearing the occasional tourist-focused story about the waterfalls and insane farming locations we could see on the mountainsides in front of us. Here you can see the road we came down on day 3, zigzagging down the mountainside. It was a long, tough, fantastic day. Back at the hotel, I was lucky enough to get a short massage to work out the issues in my back and then the team assembled for the great buffet offerings that hotel had for our dinner. Short day today, as we all start to fly home this afternoon, as per the itinerary. First, get out on the bikes by 6:30am. (As opposed to the usual launch at 9am.) This sounded early to some, but (a) the sun was up at 3 am, and (b) that’s actually sorta late for a Monster ride, so it finally felt right. Second, repeat yesterday’s climb up Dalsnibba, except that when we got to the frozen lake, turn left and KEEP GOING UP to the mountain top way before. So, basically, start the day with more climbing than day 4. Finally, get to the top, enjoy the view, and ride back down to the hotel in time for breakfast. After that, pack up and head to the airport. Sounded like a great plan, except for the “more climbing” part. Several of our group agreed with that, electing to take what Rich had called “Plan B”, which was: stay in bed and enjoy a slow morning. The morning was bitterly brisk when we got out into the parking lot with our bikes. There were four riders (Dan, Mark, Andrew, me) and three guides (Rich and Joel riding, John in the support van). We were off quickly, and even quicker, Dan, Mark and Rich vanished up the road. My goal was not to hang with them – not possible for the full 20km uphill climb – but to beat my time from yesterday, while enjoying the ride. I rode with Andrew and Joel for a while, then after a minor issue with my back wheel not being on quite right, I slowly pulled away for no specific reason… that just seems to happen on these hills. I was riding without watching my numbers, just riding to feel and trying to keep the cadence pretty high. The road slowly moved from front to back as my legs strained, my back ached, and my breaths grew heavy. After a while of climbing, I got to the first plateau where the oh-so-warm sun poked through the clouds. Switchbacking my way up the mountainside, I entered a cloud that had enveloped the peak. It was chilly, so I worked harder to stay warm. After several more hairpins, John came by in the van, confirmed I was in good shape, and told me he thought the cloud would clear out higher up. Ten to fifteen minutes of climbing later, the clouds did let up, but it stayed cold as I entered the snowfields again. Pretty soon I was up to the frozen lake. I followed the fork to the left leading to the highest paved peak with a fjord view in the world… and the road got appreciably steeper right away. Turns out the top section averages about 9% grade, with an awful lot of 10-12% sections. The views out over the lake and the surrounding peaks were tremendous. I rounded a corner, expecting to finally be at the top… and no, more road. I topped another crest, expecting to be finally at the top… and no, more road. And so on, for another 5k, until finally, pretty damn exhausted I got to the actual top, where Rich, Dan and Mark were enjoying the view and shivering. The temperature was below freezing, but the scenery was amazing. Rich suggested we drive down in the van because of the potential for black ice, but I wanted my last serious mountain descent that I’d be likely to have for ages. I put on all the clothes I had in my bag in the van, ate a banana, and flew down . It was so freeking cold that I had to stop twice before reaching the frozen lake just to bang my hands together to thaw them enough to ride. I dropped down through the clouds and into the warmer, damper air below. Shivering, I kept sailing downwards. The road was smooth, the curves tight, … it was a fantastic ride down. I passed one car on the way down that was taking too long to manage hairpins. Finally – and pretty quickly – I arrived back at the hotel. I stashed my bike in the build area we had, staggered up to my hotel room, and hopped in a hot shower to thaw out. But it was worth it. The ride up, through the quiet, clear morning air, was fantastic. The descent was ridiculous, but the road was so smooth and the views so ranging. The morning solitude in that amazing place made it possibly the most memorable climb of the week. After a hearty breakfast, we packed, disassembled bikes for the trip, and then had a bit of downtime before jumping in the vans before heading to the airport a few hours a way. I wandered through Gerainger, soaking in the crazy beauty of Norway.. the waterfalls, vast fjords, and towering peaks. Wow. This was a great trip. So happy I went on this – it exceeded all my expectations. I got to explore Norway a little, had a great time with wonderful bunch of cyclists, and experienced fantastic cycling challenges. This was my third trip with La Fuga. They did great… fantastic route planning, great hotels, solved every problem, helpful in every way. Rich was a professional and meticulous program leader, John was a thoughtful and entertaining helper, and Joel was king of the road, always being where he was most needed. I wouldn’t change anything about how they led and handled this part of the trip. – My visit with friends in Oslo before the ride started. – A great group of riders … going into this, I wasn’t sure what to expect. – Excellent weather the entire trip. We got lucky. – The windy, spectacular Trollstigen. – The cold, clear climb up Dalsnibba on the last day. – The wicked fast bumpy descent from Stryn Sommerski down to the fjord below. – The delicate bridges of the Atlantic Ocean Road (day 2). – Realizing and re-learning how much I enjoy these trips. Our excellent fleet of rental bikes are now for sale having been loved and well cared for during the 5 months of our 2016 tour season. 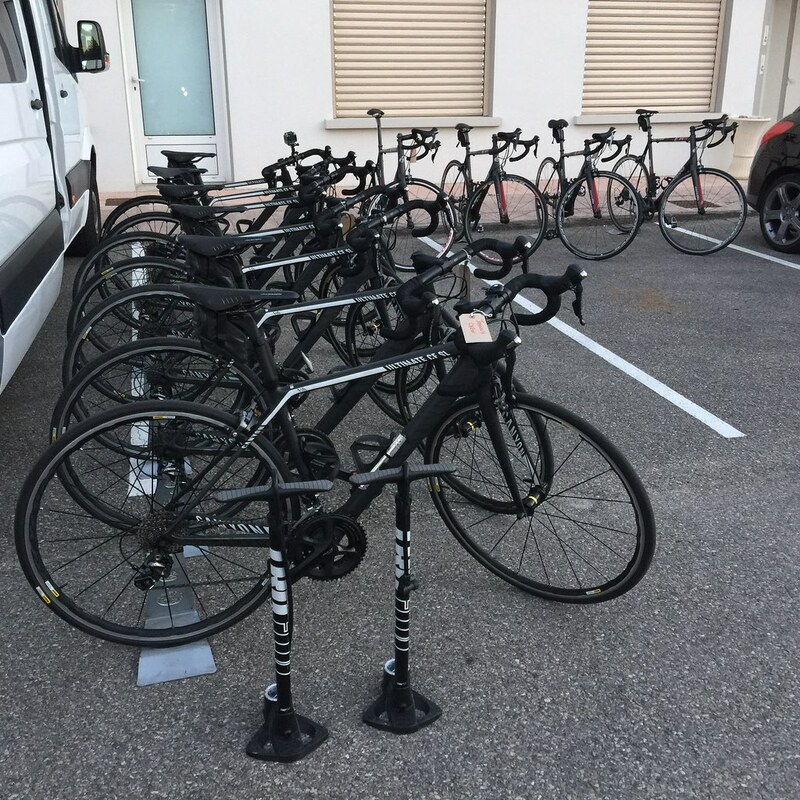 The fleet of superb Canyon Ultimates (CF SL and CF SLX models) and a few remaining Cervelo R5s and Specialized Bikes are being retired whilst still in their prime. These are the bikes our customers use for Granfondos and Raids and custom tours, so they are low on mileage and have been expertly maintained and regularly serviced over the last few months that we have been running them. NB. Note the Cervelos and Specializeds are older than 2016. They’ve lived fairly sheltered lives without running the usual gauntlet of commuting, club rides and races, but they’ve picked up a few scratches and grazes from general use. 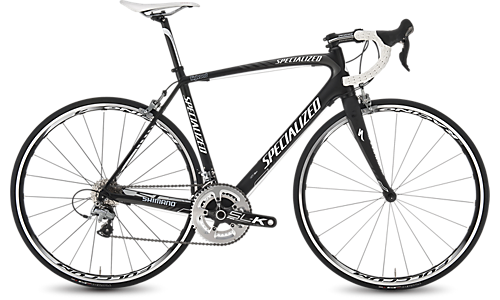 They are wearing Shimano Ultegra 11 speed (Specialized model excluded) and have all been serviced and had parts replaced where necessary.